The taste and smell of juicy ripe watermelon in a personal lubricant. The pump bottle makes it easy to dispense some of this delicious lube onto your hands so you can rub it where you want. 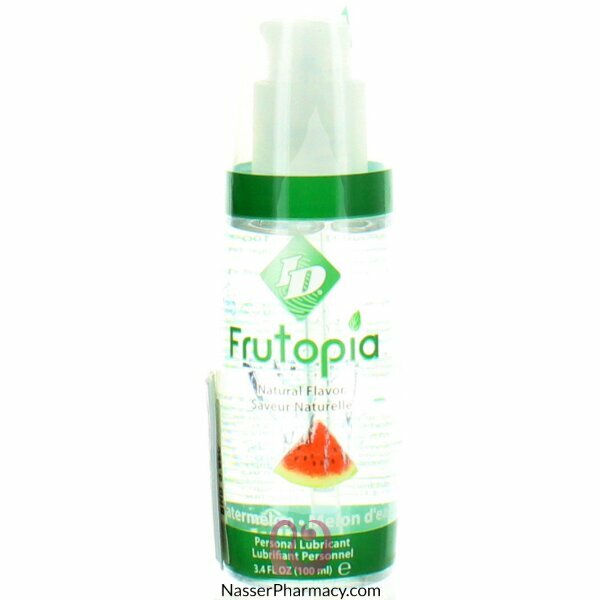 The ID Frutopia Strawberry Lube can safely be used with any type of condom . Being water-based, the ID Frutopia Strawberry Lube will not stain your bed linen and your clothes. This lusciously sweet lube is also non-sticky and contains no added sugar.